Facial Rolling. What is it? Basically it is a facial massage. Although, you don’t massage your face with your fingers. Instead, you use a Facial Roller. For example, a facial roller looks like a paint roller that is for your skin. Furthermore, facial rollers enhance the circulation in your face. Also facial rollers help products absorb better and faster into your skin. In other words, facial rollering improves the overall health and radiance of your skin. Additionally, there are Jade, Amethyst, and Rose Quartz Face Rollers. 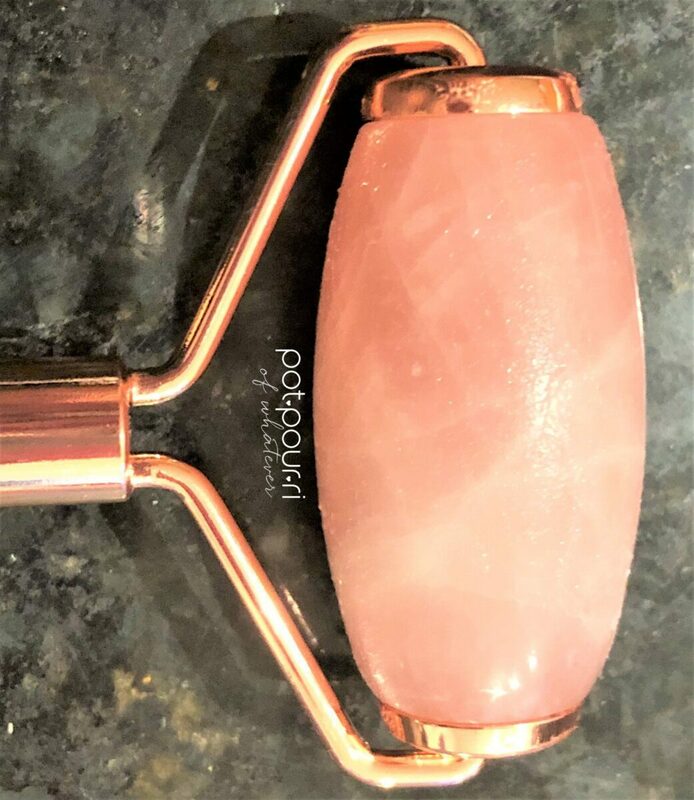 I purchased the BeautyBio Rose Quartz Roller. One reason is the Rose Quartz Roller aesthetically, is beautiful. Also, BeautyBio makes quality products. For instance, I am in love with their GlowPro Microneedling System. 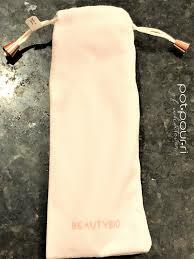 Moreover, the Beauty Bio Rose Quartz Roller, sold at Sephora, Nordstroms, and Beauty Bio’s Website, retails for $60. Why would you use a Jade, Amethyst or Rose Quartz Face Roller? First, you need to decide if you want to include facial rolling in your skincare routine. Another reason you would choose one stone over the others is purely aesthetics. In other words, which stone calls your name? 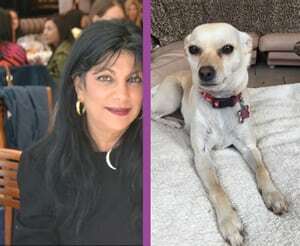 Do you love green jade, or purple amethyst? I love rose quartz. Finally, each of the stones has their own specialties. First, the amethyst stone regulates microcirculation. Also, it can calm the inflammation that occurs when you have adult acne. Next, Jade works to improve fluid-tissue circulation, which reduces the puffiness and supports the lymphatic system. Finally, Rose Quartz is for those of us who struggle with sensitive or reactive skin. As a result, the rose quartz roller is ideal for skin conditions that involve inflammation. For example, if you suffer from rosacea, rose quartz is cooling. Also, physically, rose quartz pulls inflammation from the body. Therefore, it calms the skin. All facial rollers feel cold on your face. Therefore, they feel refreshing. Imagine yourself with a terrible sunburn. First of all, sunburn hurts. Facial Rollers are easy to use. They feel cooling on your skin. Additionally, the rollers help your skincare products go deeper into the skin. Moreover, the rolling ritual feels relaxing. Also, the roller relaxes your facial muscles. In addition, I love how facial rolling helps to relieve puffiness caused by your congested lymphatic channels. In fact, they play a huge role in draining your lymphatic channels. Furthermore, rolling can help diminish fine lines. Above all, facial rolling helps reduce dark circles under your eyes. In addition, rolling can help tighten your pores. Finally, rolling helps to lift and tone the muscles of the face, neck and jawline. Each Rose Quartz Roller is100% Solid Brazilian Rose Quartz. First, the stones are carefully selected. Most important, he rose quartz roller stone is graded for its purity and density. Each stone must be graded in the top 10%. For example, to become a roller , your stone must have dense color, constant coolness to the touch and a solid weight. Above all, each stone is unique. There are no two rollers that are alike! You’re roller is as special as you are! Moreover, the minerals in Rose Quartz include silicium, magnesium, iron, sodium, and oxygen. Even more, your skin will benefit from these minerals. When you are rolling your face for a natural glow, your skin will “borrow” these minerals. Finally, Rose Quartz has a hexagonal stacked crystal structure. As a result, the stone is able to retain heat and cold effectively. This is important because changes in temperature can affect the delivery of your skincare active ingredients into your skin. 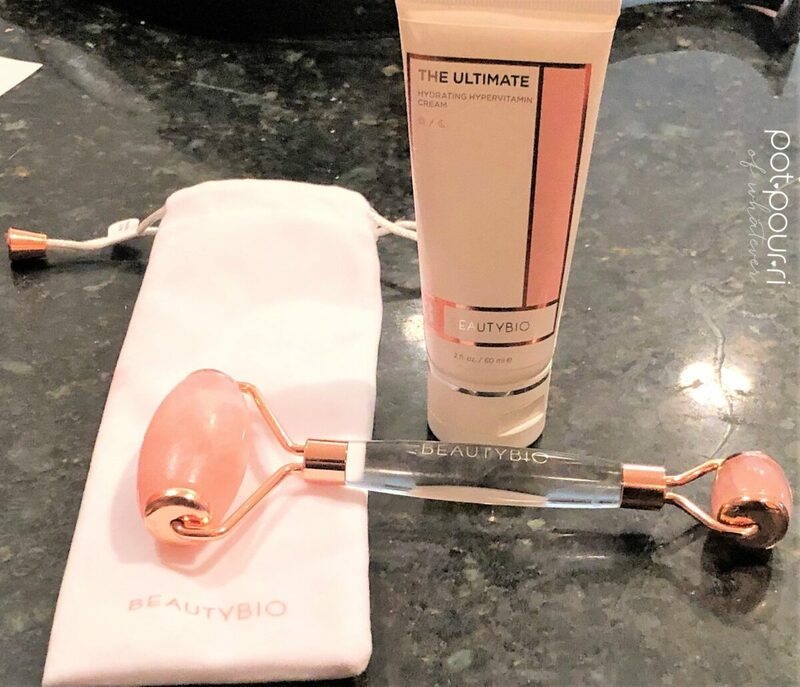 First, BeautyBio recommends that you use your Rose Quartz Roller to depuff your face in the morning, and Contour Your Face at night. However, you can contour before you apply your makeup if you are going out. On the other hand, if you are staying in, you can use your roller to seal in your skincare benefits. Use the smaller end for more delicate areas and harder to reach places, such as on your eye area. You can use the larger end on broad surfaces of your face. Start in the middle of your face and roll outwards across your cheeks. Then, move to your eyebrows, and roll upwards across your forehead. Next, move below your lower lip rolling down across your chin. Above all, If you use the Rose Quartz Roller Consistently, you’ll begin to see an improvement in your skin. You can also use the Rose Quartz Roller on your body. Also, clean your roller with water, and wipe it with a towel after each use. Then use the dust bag, that is included, to store your roller. First of all, I know that the BeautyBio Rose Quartz Roller is one of the more expensive rollers on the market. Some of the rollers on the market are much smaller than the BeautyBio Roller. However, the BeautyBio Roller is sturdier, more solid, put together better, and it doesn’t squeak! Also, Beauty Bio makes a much larger, more heavy duty roller. There are no imperfections in the quartz. Also the quartz isn’t rough. Finally, it is said that “Cleopatra bathed with pieces of rose quartz crystals because she believed the crystal’s had healing energies, and promoted youth. Which stone would you choose if you were to purchase a facial roller? Let me know what you think in the comments below.